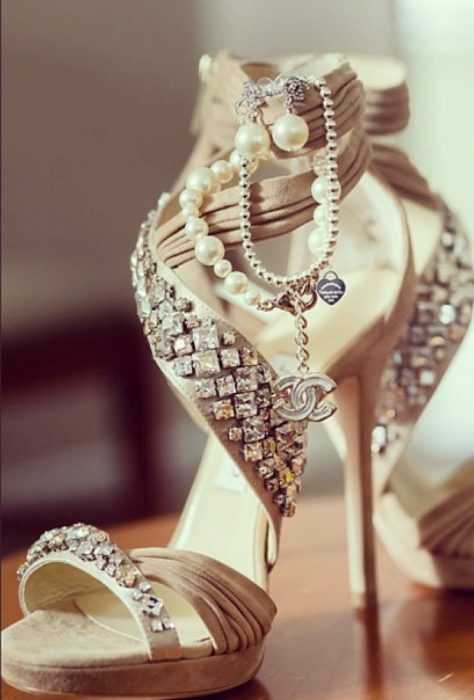 The following article describes tips and ideas on what wedding sandals you should buy this year for your wedding dress. I am so happy to share with you this stunning post, as I know how happy you are right now! Your wedding is going to be soon and we all want to make it the best! One of the important things you should worry about is your look! Forget about guests, the place of the ceremony, invitations…think of yourself! 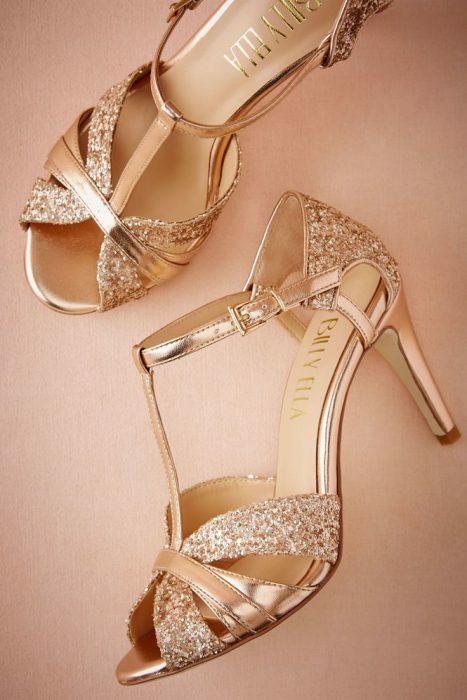 A glittering pair of peep-toe sandals embellished with a bow in gold hue. They will be an ideal match for a white maxi wedding gown. You have to be the queen of the wedding, in other words saying, you better steal the show! 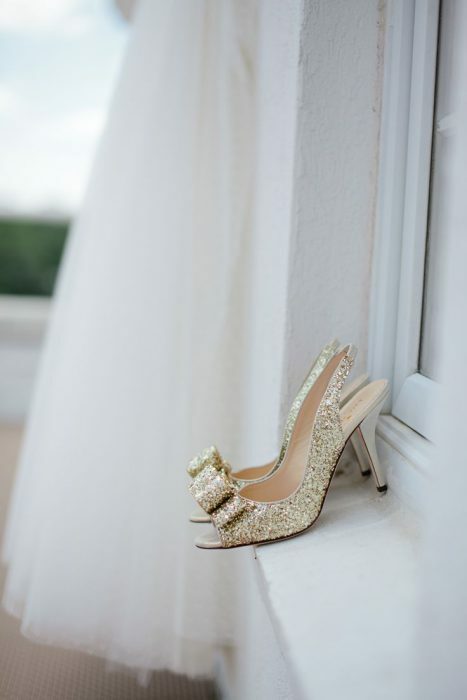 The wedding dress might be one of the important things, but you definitely should think about footwear. They can either make or break your very special day. If you won’t buy a comfortable pair of sandals, I guess your wedding will be ruined, as your feet gonna hurt very bad! An unflattering pair of shoes can ruin the whole event and you will be sorry you saved some dollars for buying a perfect footwear. Of course, you better buy shoes when you already have a dress. 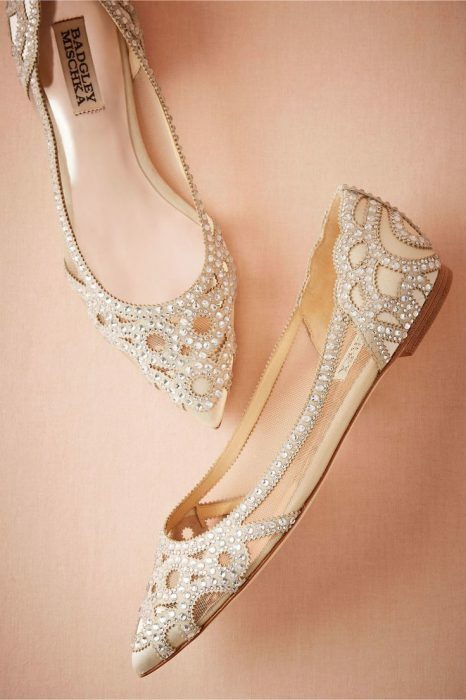 Make sure, they fit great, keep an eye on their design, I personally recommend to choose a versatile pair of shoes, so you can use them after a wedding for cocktail parties and other fancy events by teaming with a cocktail dress, jumpsuit or a suit. I personally love drop jaw designs. 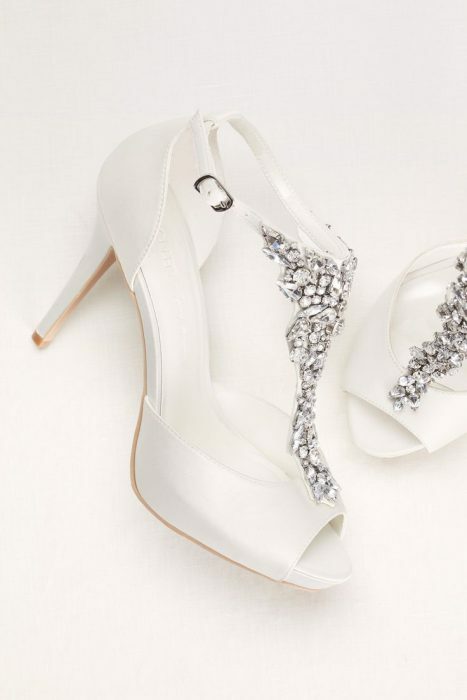 Here are shown best bridal heeled sandals you can shop this year! Keep your feet happy and accentuate your style! 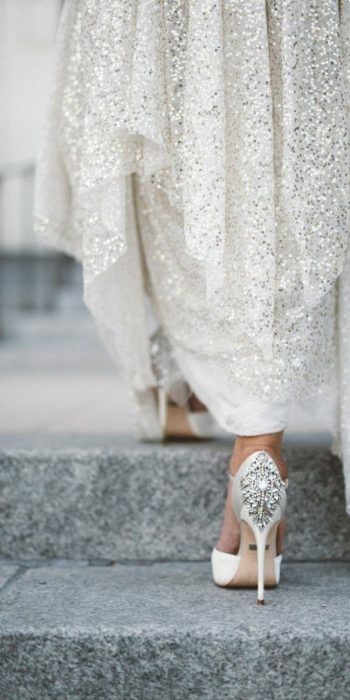 Here are important tips to follow: never skip the pedicure, never wear vibrant shoes or the ones that totally differ from the style and color of your dress. Be true to your style.